Stella-Marie Brown was a high school student in Napanee, Ontario in 1978. Given to Mary-Lynne Morgan in June 2018. Donated by Mary-Lynne Morgan in June 2018. 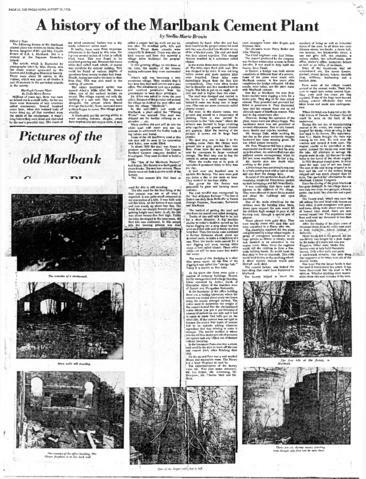 Photocopy of an article by Stella-Marie Brown, a student at Napanee Secondary School, on the history of the Marlbank Cement Plant, written for an essay contest sponsored by the Lennox and Addington Historical Society and published in The Tweed News on 23 August 1978.